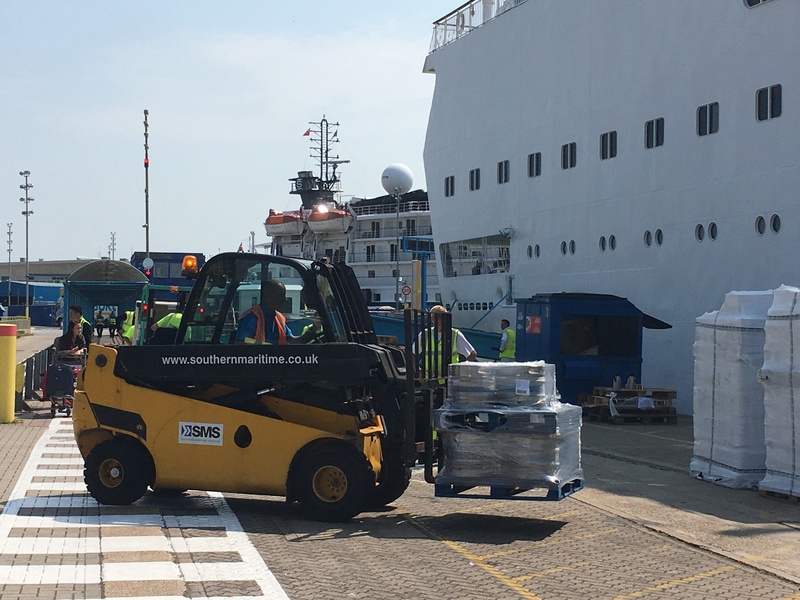 Port handling specialists Southern Maritime Services (SMS) have achieved a new “first” by handling three cruise ships simultaneously in Portsmouth International Port (PIP). The calls included two turnaround calls by the Voyages of Discovery ship Voyager and Noble Caledonia’s Hebridean Sky respectively, plus a day call by the National Geographic vessel Orion, which arrived from London and sailed for Alderney as part of a voyage round England, Wales and Ireland. More than 1,000 passengers were embarked and disembarked on the Voyager and Hebridean Sky as the two ships prepared to sail on itineraries that included the Channel Islands and Northern Europe. In addition, SMS carried out storing and mooring work on all three ships, and handled the ship’s agency for the Voyager, while sister company Cruise and Passenger Services (CPS) was responsible for valet parking of passenger cars. Around 50 personnel were required for the operations, which also included checking passengers in and handling their baggage. Like Pathfinder Personnel, SMS is part of Independent Port Handling, the UK’s most extensive provider of cruise ship handling services, and the busy day in Portsmouth coincided with the Group’s other subsidiaries also carrying out cruise ship handling operations in Southampton and Liverpool on the same day.